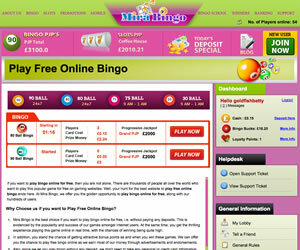 Mira Bingo is one of a number of brands available online today that is powered by the Cozy Games software. 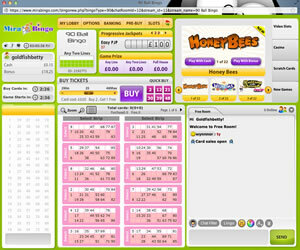 Of the brands using the software there are several different networks but this brand is part of the Best Bingo Network, one of the few that have maintained the high minimum withdrawal amount of £50! Whilst we usually start our reviews with a look at what the site has to offer, in this case, it's the pitfalls that need to be addressed. If, with all that information to hand, the £15 no deposit required offer from Mira Bingo still grabs your attention enough to want to try the site out then you should note the following. The bonus is not credited to your account the moment you register; you have to first validate your account through an email sent to you for £10 of the bonus. For the remaining £5 you have to complete your profile at the site. 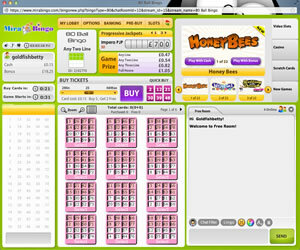 When it comes to game play, Mira Bingo is standard to the Cozy Games software with the usual issue of ticket prices not showing when a game is in play. The site offers four variations of the bingo game and one plus point for the brand is that they allow bonus funds to be used to play the instant win games on offer. Chat hosts seem to favour using the smileys in the room and clearly don't have English as their first language. They are patronising with little knowledge of the product and bring nothing to the table to enhance an already poor gaming experience. Mira Bingo is not a site that we would recommend to our readers for all of the reasons listed above but you don't have to take our word for it. 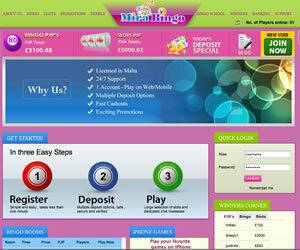 Mira Bingo offers four different types of bingo game at their site. You are offered 30, 75, 80 and 90 ball in a number of rooms, some of which have access restricted to those who have made a deposit. Wagering requirements with Mira Bingo are variable dependent on both the games you are playing and the bonus option you have chosen. You can find all the details of these in the FAQ section of the site under the Withdrawal Rules section.